After so much waiting and an excited winter for the preparation of the new season, Superbike is back on track! On January 23-24 at Jerez de la Frontera and on 27-28 at Portimao all the main teams will be testing for a first real comparison on the 2019 season. 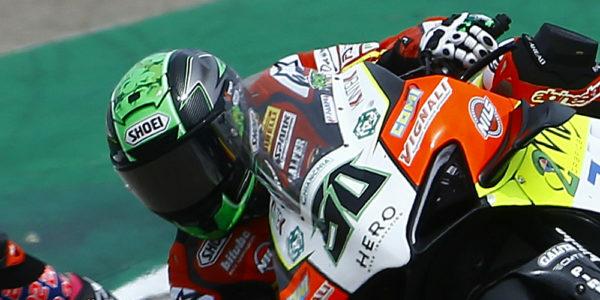 Of course, Team Go Eleven will not be missing with his spearhead, Eugene Laverty riding the new-born Ducati V4-R! A month ago, only a month ago, the bike was not available yet; then, the run-up and the great work done by the technical partners, the nights spent in the racing department by the guys, the fears of not being ready, the many obstacles and difficulties overcome by the determination of a team guided by one goal … now everything is left behind, the Team is ready and more motivated than ever to give battle from the first seasonal tests. The work of these days is important because it will influence the first part of the championship; it will therefore be essential to find an ideal set-up and a perfect harmony between team, rider and bike. It will not be easy because the bike is new for everyone and both Eugene and the team will have to adapt to the red of Borgo Panigale; but a rider of his caliber and his experience will certainly be able to provide the right information to fix each detail. 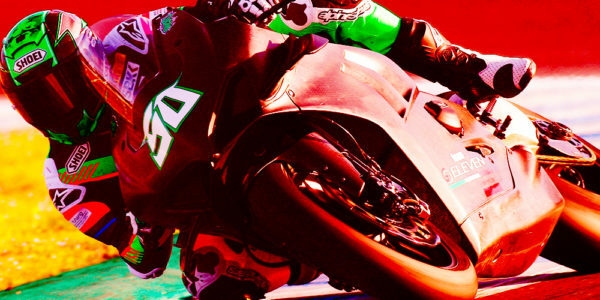 Moreover, these tests will be crucial to understand the real potential of the new Ducati compared to the Kawasaki, ruler of the last years of the World Superbike! 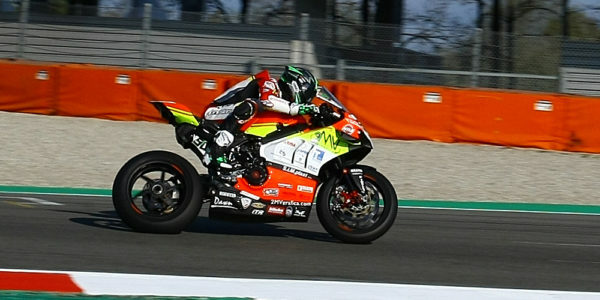 The circuits of Jerez de la Frontera and Portimao are particularly suitable for the first seasonal tests; both because they are located in European areas almost always kissed by the sun and a rather mild climate, and because they will be part of the WorldSBK calendar. It will be essential to arrive on those tracks with two days of tests already carried out, where the rider will already know what to expect from his bike! Now, let’s give us the emotion of the first time … Jerez we are coming! We really made a great effort to be able to participate in these very important tests for us; it will be our first riding with Ducati and with Eugene, we will discover together our strengths, but above all the weaknesses on which we should work in view of the opening race at Phillip Island, in about a month. It will not be crucial the lap time, we want to focus on the feeling between motorcycle and rider. The goal of Jerez is to find a configuration that allows Eugene to drive the V4R as he knows how, while in Portimao we will focus on the set up.